I was hunting around the BBC looking for something else when I came upon an excellent video originally broadcast in January 2012. While it is one year old, and while the question of the Higgs boson is probably very close to being answered*, still this video presents a valuable lesson. 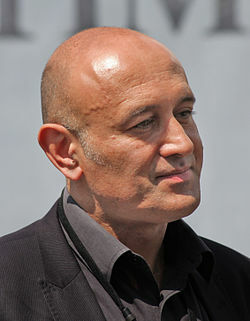 Our host is Prof JIM AL-KHALILI, OBE, Professor of Theoretical Physics and Chair in the Public Engagement in Science at the University of Surrey. The video is especially valuable because it ventures into the LHCb Collaboration at CERN’s incredible LHC. In this section on the LHCb experiment, the subjects of Broken Symmetry and the theory, to date untested, of Supersymmetry are explored. These subjects were not at all present in the PBS Frontline piece The Atom Smashers (2008), nor the BBC video The Big Bang Machine(2008). If you use either the Opera browser or Firefox, there are excellent video download utilities for saving an .mp4 in at least 720p HD. I hope that you will enjoy the video and might add it to your collection. The BBC page for the video is here. *On July 4, 2012 The General Director of CERN, Rolf-Dieter Heuer, announced that both the ATLAS and CMS collaborations had discovered a new particle with a degree of certainty [beyond five Σ (sigma)] which placed the find beyond doubt. The particle was a boson. But, there was not then and there is still not now certainty that the find was the Higgs boson. That has yet to be confirmed. This confirmation might wait until the completion of the International Linear Collider.